We proudly present one the best values in vaping - the Pharmacig ecigarette kit brings together precision engineering and quality materials for a absolutely flawless vape. 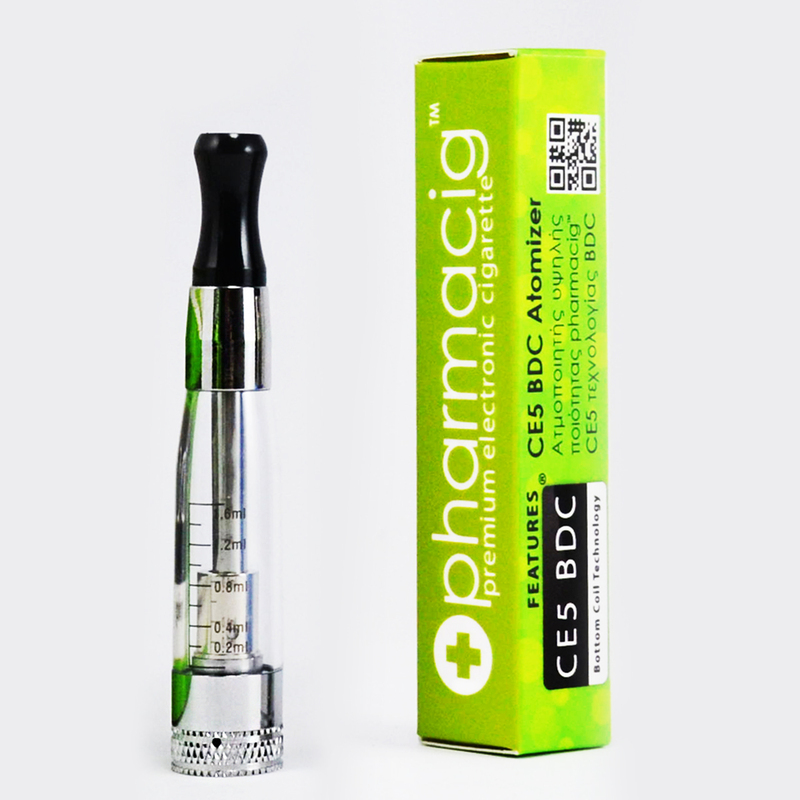 A top quality 650mAh battery coupled with a high quality CE5 BDC clearomizer, the Pharmacig kit delivers very respectable clouds and comes with a ridiculously low price tag. 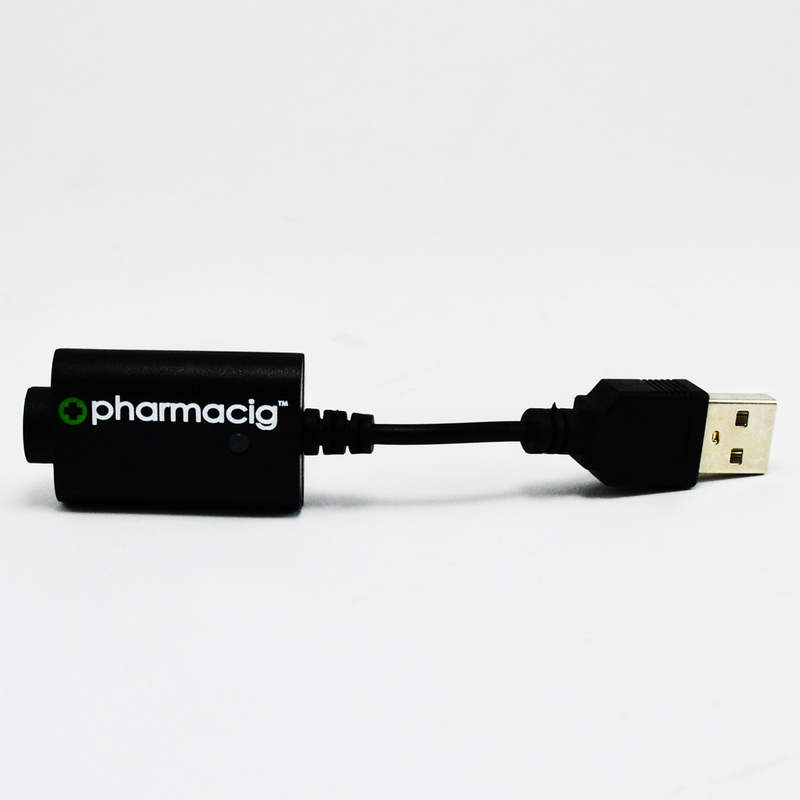 The kit includes a USB charger for your convenience as well. 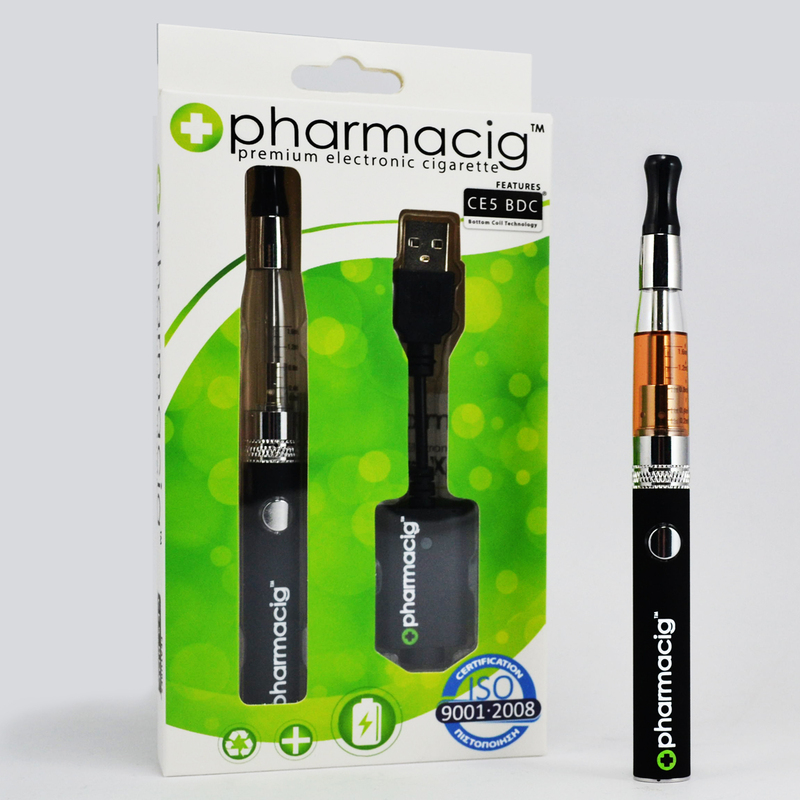 Sleek and stylish, the Pharmacig kit delivers top class vapour performance that is guaranteed to satisfy - a great bargain in every sense of the word! Bottom dual coil (BDC) technology has been a long-enduring technology in the vaping world, and for good reason. The Pharmacig BDC clearomizer produces unbelievable amounts of thick and juicy vapour that is definitely one the best in its class. The amount of vapor to one side, when it comes to flavor transmission, the Pharmacig kit is in a class of its own. There is literally zero loss in flavor as it is transformed from liquid into vapor. Even the throat kick is brilliant, you can feel the vapor hit your throat like it's supposed to. The 2ml transparent clearomizer houses a changeable atomizer head that lets you replace it when it starts dropping in performance. 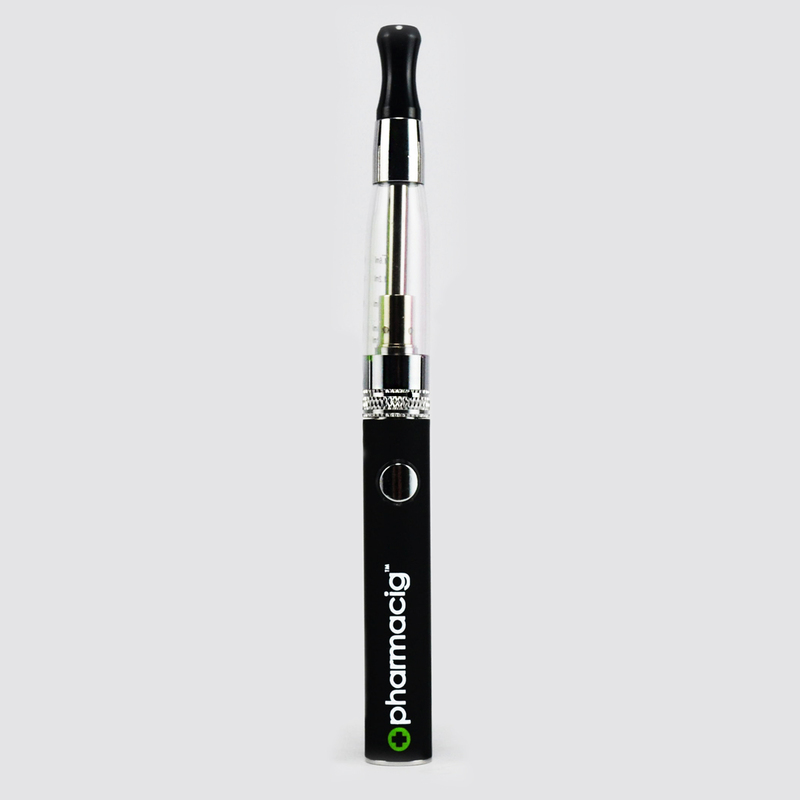 The see-through clearomizer is also very practical in monitoring how much eliquid remains in the chamber, ensuring you never run out of e-liquid. Refilling is another strong point of the Pharmacig kit; you just unscrew the clearomizer and fill it up. No hassles, no leaks! 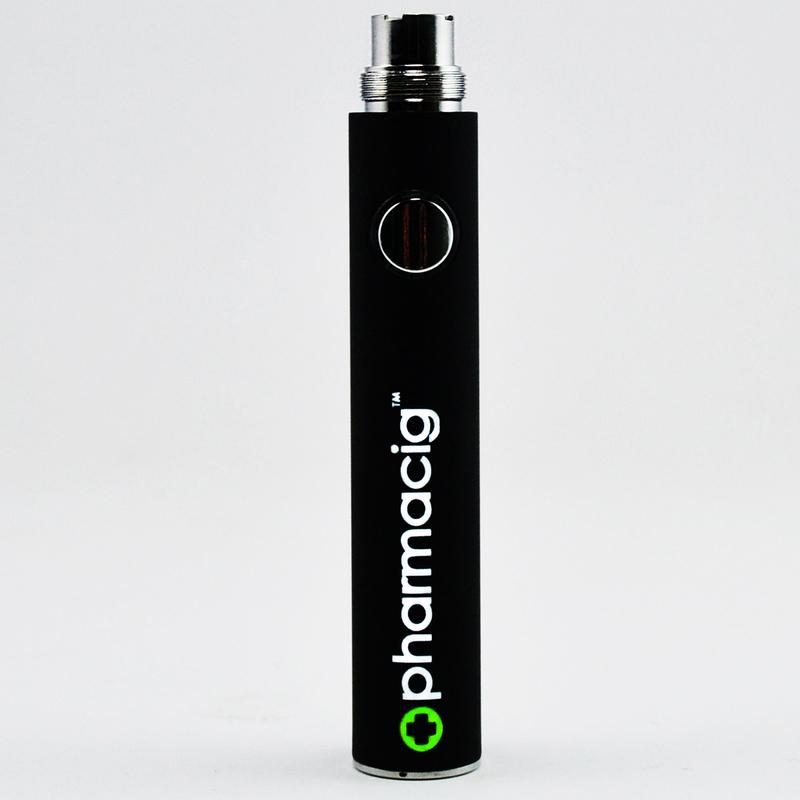 The power behind this great vapor performance lies in the authentic Pharmacig 650mAh eGo battery. The quality of the Pharmacig battery is apparent in the fact that it consistently runs at stable power levels and doesn't need to be recharged frequently. As such, it is ideally suited for CE5 BDC clearomizer. Charging is simple too, all you need to do is attach the battery to the charger cable and plug it into a USB port. The Pharmacig kit is a wonderful starter kit that is unbeatable in terms of vapour quality, visual appeal and price. Produces large volumes of vapour even with the slightest puff. Genuine Pharmacig battery; consistently runs at stable power levels and doesn't need to be recharged frequently. Zero loss in flavor as it is transformed from liquid into vapor. You can feel the vapor hit your throat like it's supposed to. You can see how much eliquid remains in the tank; very easy to fill. → It's always a good idea to stock up on consumable ecigarette parts such as atomizer heads. Please click here for genuine Pharmacig CE5 BDC atomizer heads.